Biglearners.com is dedicated to provide high-quality educational materials for K-5 students and teachers. 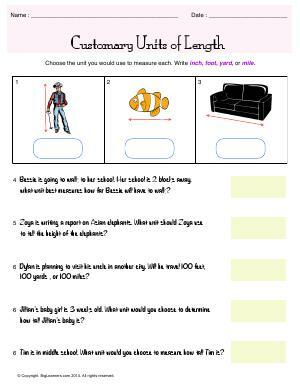 This site features thousands of printable Math and English language worksheets. 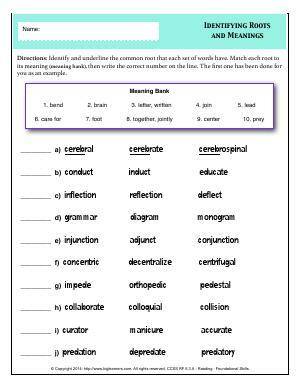 Our collection includes spelling lists, grammar, reading comprehension passages, writing prompts, and flashcards. We have great learning resources in numbers, decimals, fractions, data and graphs, geometry, measurement, and many other topics. We have aligned our content to US common core standards. At click of a button, you can change the website view to common core. Your menus will change and content for each grade and subject will be shown as per US Common Core Standards. Here is a brief introduction of the curriculum of each of the grades and the subjects that we cover. You will find beautifully designed and crafted worksheets that will challenge and stimulate the thinking of the students. Click on any link below to view the worksheets for various topics in Math or Language. There are a lot of free worksheets here and inside. Explore! Math introduction starts with number counting skills and pattern recognition. Children are expected to sort and classify shapes. Get used to very basic fractions, money, time, graphs and charts. Start with ABCs, letter recognition, and basics of phonics. Learn to build simple words and sentences. Start with an introduction to grammar and writing skills. Use our flashcards for sight words. Learn about days, numbers, and more! 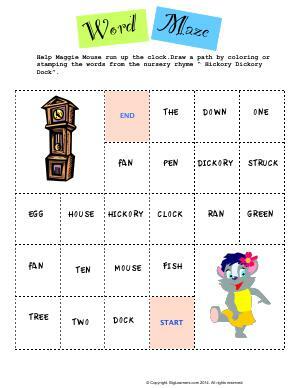 Help Maggie Mouse run up the clock. 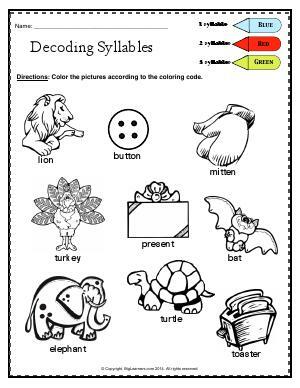 Draw a path by coloring/stamping the words from the nursery rhyme. It getting hot now! 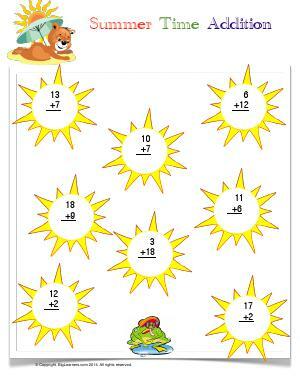 Practice 2 digit + 1 digit addition in this summer time themed worksheet. Color the pictures according to the coloring code. Choose the unit you would use to measure each. 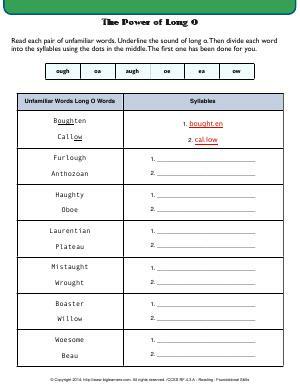 Write inch, foot, yard, or mile. Read each pair of unfamiliar words. Underline the sound of long o. Then divide each word into syllables using dots. The first one has been done for you. Identify and underline the common root that each set of words has. Match each root to its meaning. "My favorite feature of Biglearners.com is the ease of use. My child always can find the right worksheets himself. Worksheets in both Language and Math are simply awe-inspiring. The worksheets are not a collection of repetitive problems and are rather very interesting." "Simply awesome content! Curriculum is well organized and comprehensive! I am glad I found it."